In the light of the e-cafe initiative at the College of Business Administration under the patronage of the Deanship of the College, the second workshop for this year, entitled: 'Virtual Classrooms', was held, by the grace of Allah, in collaboration with the Deanship of E-Learning and Distance Education. 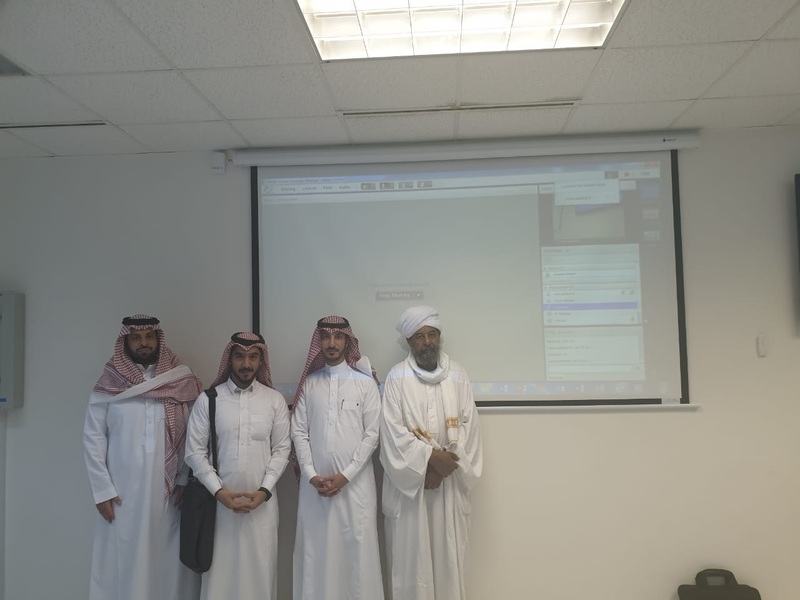 The workshop was held on Sunday, 3 Rajab, 1440 A.H., corresponding to 10 March, 2019 A.C., for Their Excellencies the academic staff members in both the male and female sections. 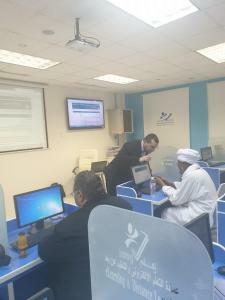 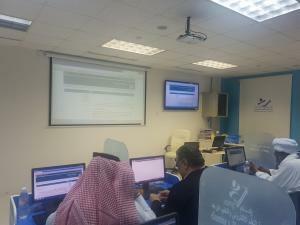 The workshop lasted from 12:00 to 1:00 p.m., at the e-learning laboratory. 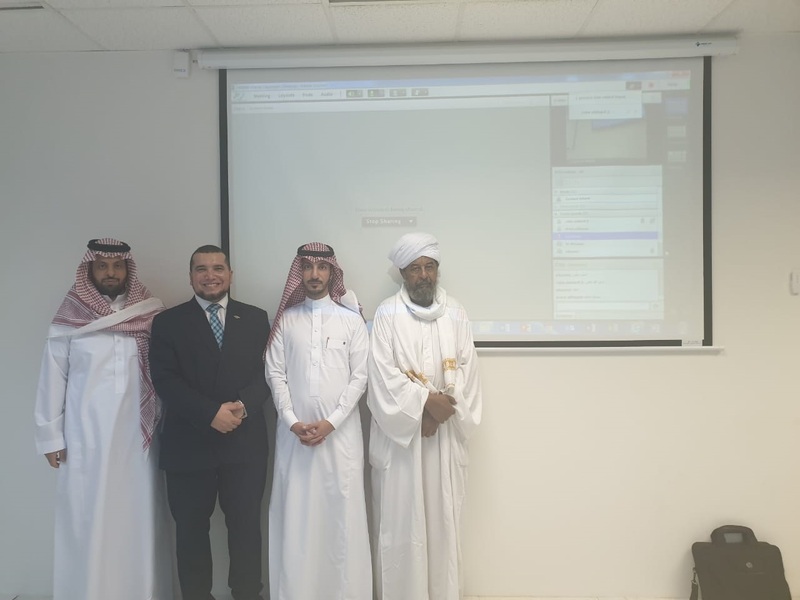 Their Excellencies the male academic staff members attended the workshop, while the female academic staff participated via the following virtual classroom link: click here. 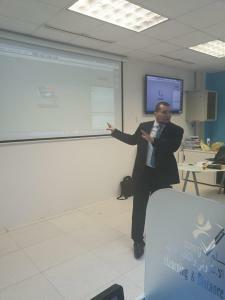 A summary of the workshop was then presented. 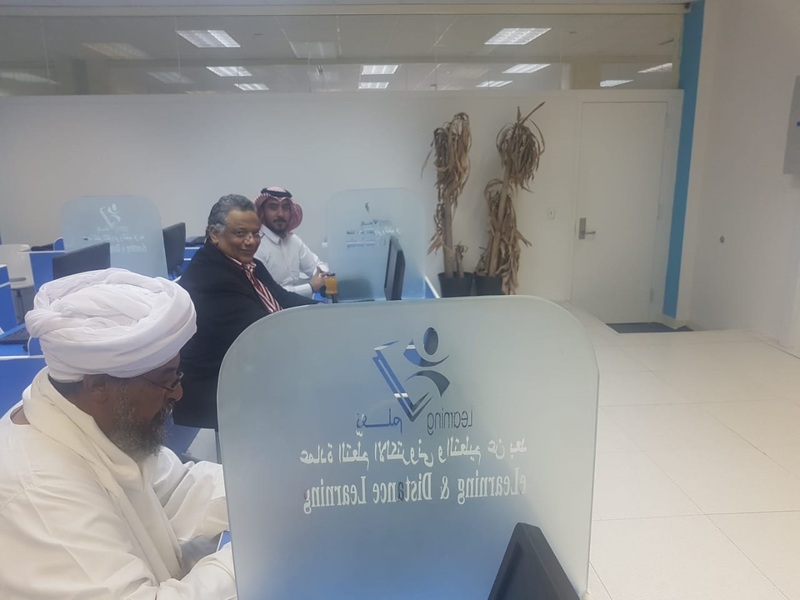 The attendants then thanked the UQU leadership, the College of Business Administration and the Deanship of E-Learning and Distance Education for providing advanced learning technologies and for the e-support provided for the faculty members in this field.